"This Child will be the spiritual recipient of Holy Prophet (PBUH)"
Note: Date mentioned in above prediction is correct but it has deep spiritual meanings. 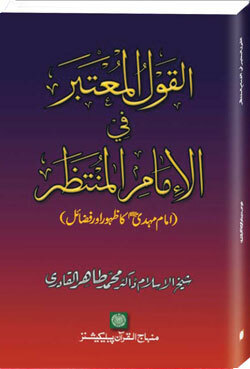 A highly researched booklet on Imam Mehdi (AS) referring Ahadith-e-Mubarika, excerpts from Imam-e-Rabbani Mujaddid Alif Sani's (r.a.) Maktoobat, Shah Waliullah Muhadith Dehlavi's (r.a.) book 'Al-Tafheemat al-Ilahiyya (التفهيمات الالهية)' and Shah Ismaeel Dehlavi's (r.a.) book Sirat-e-Mustaqeem. Hadith "‏ مَنْ كُنْتُ مَوْلاَهُ فَعَلِيٌّ مَوْلاَهُ ‏" is present in Sunan Ibn-e-Majah and Jamia Tirmizi in chapter "Fazaeel-e-Ashab RA"
Note: Please read above pages carefully before leaving any comment. Media is a Jal of Dajjal, I mean Net of Deceptions and lies. Yehi wo Dajjal ke uljhe huwe baal hain. Well said anonymous. Our media spent so much time showing the last rituals of a drunkard non muslim who once said after the 1971 war "Pakistani kuttay merifimein na dekha karain", but we do not have a single on air minute to highlight the plight of muslims in Burma and elsewhere. Where is Asma Jahangir now???? it would help if it was translated in english. Well, It has spiritual meaning yet very simple. Only for those who ponder on signs, I will not tell. I salute my Auliya Allah for their vision. MAy Allah shower His endless blessing on All of them. Spiritual meaning of this date has been given in some older post of this blog. The empire of today on him who fishes tomorrow’s pearl up from Time’s undertow. He was Born on 18th Jan 1960, 1:30 am apprx. doesn't know what happened on june 21st. The date has something to do with Spirituality. Sign of the Savior, he will not have to announce himself, the Angels will announce him, when he will walk or come near you the angels will announce that 'Hazrat Imam Mahdi Isa (as) has arrived. "/ H.H The Rightly Guided Leader Isa/ Jesus (PbuH) has arrived. in a language that you understand no matter if you are German, french, jinnee, bird, animal or Whatever. Universal Language. 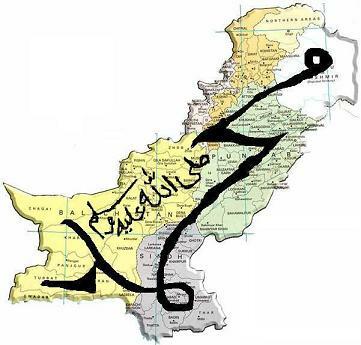 Aik hint yeh b hy k pakistan ka naam Islaami Jamhuria e Pakistan 1960 mein rakha gaya. Jo k us bachy ki pedaish ki alaamat hy. Baqi Allah behtar janta hy. Masha'Allah nice post. Khilafat-e-Zahri from Abu Baker r.a and Khilafat-e-Batni from Hazet Ali r.a will join together in Imam Mahdi a.s. Allah will give him political, physical, religious and spiritual strength to bring justice in whole world. Insha'Allah. Pakistan became the world’s first Islamic republic. Iss sall yani 2012 ko 14 august 27 Ramzan ko nahi balke 25 ya 26 Ramzan ko 14 august aay ga. Ab ap kia kehtay hain???????? Kuch bhi nahin kehte. 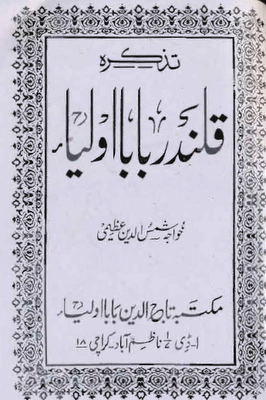 Kya pata Laila-tul-Qadr 25 tareekh ko ho. Sawal kya hai? Ayek do din key aagey ya pechey se koi nahi faraq parta.... asal waqat sirf Allah ko pata hai... important is year not day. Allama Iqbal ko hi samajh lain aur Allama Iqbal kehte the k agar kisi ko kamil murshid na mile to wo Maulana Rumi ka hath pakr le. AGHAR AESA MUMKIN HO TO KIYA HUM MURSHAD E KAMIL HAZOOR (SAW)ka hath pakr saktae haen ? Yes kyn nhi. Ap ko bs ye krna ho ga k apni zindagi ka aik aik lamha AAP (S.A.W.) ki sunnat k mutabiq guzarna ho ga.
plz visit this article.Especially read the comments of pir-e-tareeqat Mian Muhammad Yaqoob Chishti Nizami Sahib,Father Aftab James Pal,Pandit Rmash Chaman on next pages. In return Allah wanted great victory to them they faught in Badar. This is milestone in islamic history. And if we do this Inshallah Allah helps us and save us from all enemies. Faqar bhai Dr. Tahir ul Qadri sahib kehtay hain ke Hazrat Imam Mehdi ke zamany ke liay ab bhe 1000 ya 200 saal hain aur dusti taraf Qalandar Baba Auliya (r.a.) farmatay hain ke wo 1960 mai paida hongay? kia ye buhat bara contradiction ya tazaad nahi hai?? Dr. Tahir ul Qadri sahib said birth of Imam Mahdi a.s is 204. The 'thousand year' in which that will be is not given. So his birth date is 2204 AH. It could also be 3204AH, 4204 AH, 5204 AH etc. So there are at least 771 years until Imam Mahdi (AS) can be born. This calculation is contradicting another Hadith in which age osMuslim Ummah is foretold 1500 years. It means he will come before 1500 AH i.e. start of current hijri 1400-1434. Imam Rabbani also predicted same "1400". I think Hadith is not saying FOURTH year of SECOND century "204" but FOURTH century of SECOND millennium i.e "1400". I am not criticizing Dr. Tahir ul Qadri but he can mistake and I also can mistake. We are humans. Actually Jane Dickson predicted the same thing that in 1960 a boy has been born who will rule the world. I find the whole scenario confusing though. The person who born in 1960 would be 52 years of age by now. And when we read ahadiths, it says that Imam will khurooj at the age of 40 years. Brother Salman hadith said Imam Mahdi will emerge at age of 30 and 40. Hadith don't say Imam Mahdi will take oath and establish Khilafat at Mekkah in age of 40. Hadiths tell us he will rule 7 or 9 years and will die in old age. we do it or not we will still be saved from enemies secondly the NATO is about to leave and providing them supply route to evacuate is necessary. If this not happen all India was conquered by Marathas and now we all r hindus. Like spain. In 1979 to 88 if afghan mujahideen not fight with Russia USSR they reach hot waters. After this all central Asian get indendence. Must listen it. Shabqadar night may be any night from 21. ....29 of Ramzan. Add forty 40 year to 1961,61 you will reach to 2000,2001. Now what is the most important event that shaken and altered the system of the whole world,,,,,,,,, It was 9/11. After 9/11 the system changed and Pakistan take U-turn. Iss Qurani ayat ke mutabiq Sheikh osama ka Allah ke han buhat bara rutba hai. Jane Dickson ki prediction 1961 men aik personality kee paidaish ki hai, buland kirdaar and good looks... and according to some posts here, we think someone in 1960 came into the world of nasoot. Asad Omar was born in 1961 (which could mean that he was conceived in 1960). He is quite goodlooking. He joined PTI recently. It also reminds me of an astrologer who on some channel in Pakistan predicted that Imran Khan was going to become a 'King Maker'. Add forty 40 year to 1961,61 you will reach to 2000,2001. Now what is the most important event that shaken and altered the system of the whole world,,,,,,,,, It was sebtember 2001. After 9/11 the whole system changed and Pakistan also take U-turn. FOR GOD SAKE PEOPLE USE UR COMMENT SENSE AND LEAVE THIS THIS MAN IS MAHDI OR THIS MAN IS MAHDI ASIDE. I pray that he is helpful for pakistans progress. Any one from any religion, sect or school of thought, who has not yet seen the true path, do toba (ask forgiveness) and affiliate with this Faqeer (Siddui Lasani Sarkar) for a month only. The true path will be seen by oneself (Inshallah). Yesterday, there was Corp Commander's Conference and I saw in TV the snap of that Conference and astonished to see a DARK BEARED MAN (May be Lt. General or Maj. General) was also present, May be seen in the snap. Something amazing has happened, Former Army chief and president pervez musharraf hs visited our beloved shaykh Nazim Adil al Haqqani Naqshbandi (R.A)..and taken baht ! How can he be approached n benefited? As salaam alaikum ! Brothers, see the birth details of Alauddin sabir kalyari R.a his father used to feel some kind of noor running in his back bone till he fathered this great Sufi saint son Alauddin R.a, it may be that in 1961 his father maybe also feeling though when he attained puberty means he has comed in his father who is leading in world from spritual world, and then in her great mother the worldly one, and then in the world himself, Allah knows best, everybody have different ahwal, Allah Hafiz'o'Nazir. The Date is 18 Jan, 1960. apprx 1.30 am. Leave everything to ALLAH, He is doing best for us. Prepare to become Hazarat Imam Mahdi's army, instead guessing him. No hafiz Pak asked u to guess him, when the sun rises, everyone sees, so is emergence of Imam e Azam, Mahdi a.s. Prediction by Qalandar Baba Aulua is correct, he didnt mention, predicted personality is Imam Mahdi a.s. ALLAH is protecting Imam Mahdi a.s, till his emergence, how come any one can expose him. For sure, we r in the time of Imam Zamana. Age of Imam Mahdi a.s, between 30-40 means era between 1430-1440. We r in this era/age now. All over Islamic world, ppl agree, we r in the time of Mahdi Zaman. I had read about Huzoor Qalandar Baba's prediction in Azeemi Sahab's book back in early 90s and it's been etched in my mind since then. The approx time for the appearance of the personality mentioned in his prediction would have been 2000/2001 but it's been over 14 years since then. I am totally perplexed because I do NOT, not even for a second, doubt about the highly exalted spiritual rank of Huzoor Qalandar Sahab or that of his spiritual son, Huzoor Abba jee but how come this prediction hasn't come true yet?